The Bluebird “Cyclone” is a commercial grade wheeled blower that is powered by a 9.5 HP Honda GX 270 engine. It has rugged all metal construction and pneumatic tires with tubes for smooth operation. It has been designed to be simple but effective, with no unnecessary “bells & whistles”. 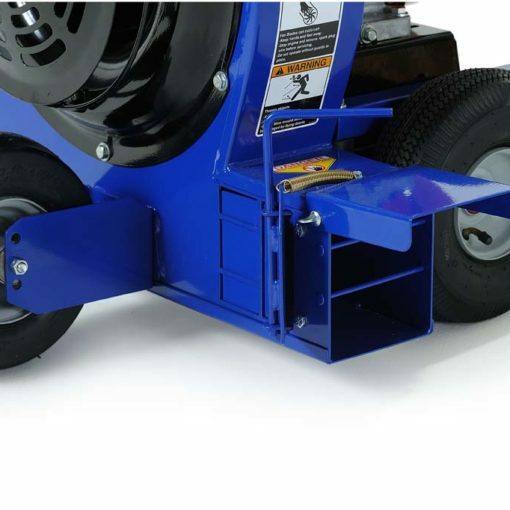 Its side-to-forward air discharge control is foot operated and intuitive to use. Its best in class performance is achieved through a proprietary backward inclined airfoil centrifugal fan. 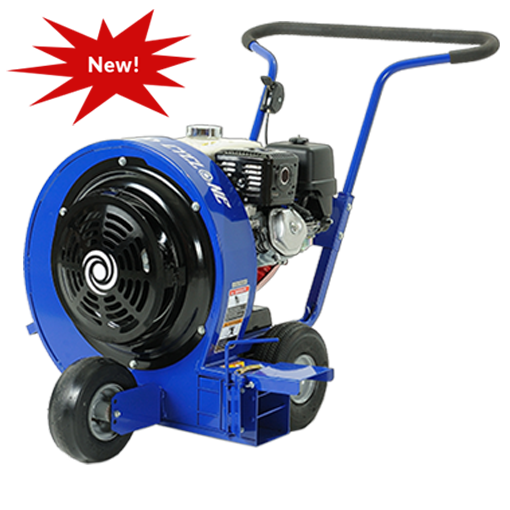 The Bluebird “Cyclone” Blower makes quick work of removing leaves and debris from Lawns, sidewalks, driveways and parking lots. It is also an ideal tool for contractors to clean concrete and asphalt surfaces prior to applying coatings or sealants.